Wait, what are you on about? I hear you ask. Don’t worry, I haven’t gone senile, there is a point to this post. I started this blog in 2017 and chose a suitable name to fit the fact that I am, indeed, a lucky lil devil. 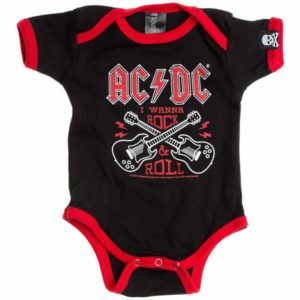 However I noticed some traffic coming in to the site from people looking for baby clothes for rockers. Think Iron Maiden onesies, that kind of thing. Turns out that prior to it being my blog about all things involving old lady luck, it had something to do with a childs clothing range for people who liked to frequent mosh pits prior to their entrance to parenthood.